Coffee Brake -- A weekly Friday break from the mundane and into the arcane, By DT E-i-C Vince: As a general rule, I avoid anything Web 2.0 (no, it isn't because I'm a geezer, but it is because I remember when you needed to know how to code HTML from scratch or use some terrible text based FTP client to transfer files in order to have any business being on the web.) but occasionally I find some gems while cruising the instagram highway. 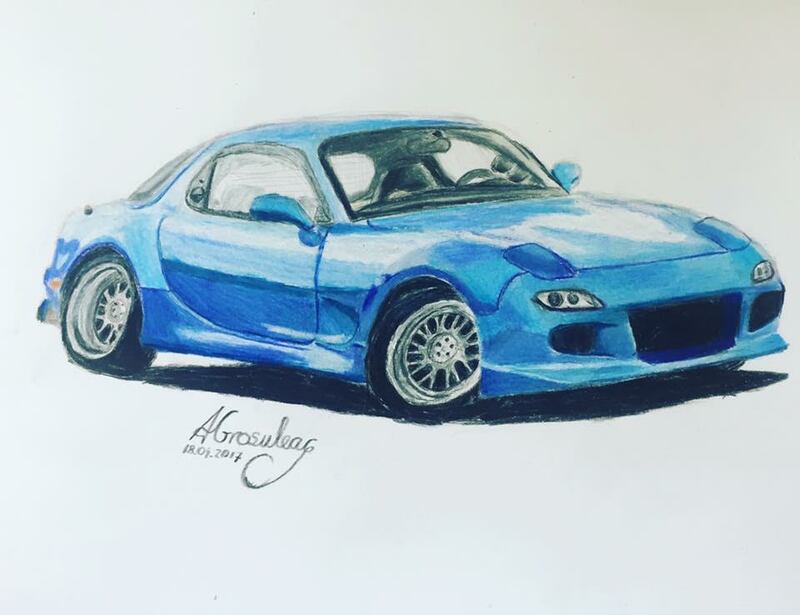 This past week I stumbled onto the relatively new account of 15 year old UK based Andrew Grosuleac who has a collection of his own hand drawn art on instagram. Check out A.Grosuleac's account here on instagram and read our Q&A with an artist below. Q1: How do you pronounce Grosuleac? A1: You would pronounce 'Grosuleac' as 'Gro soo le ak' in English. Q2: Where in the world are you located? A2: I currently live in the UK, but I was born in Romania. Q3: When did you first start drawing pictures of cars? 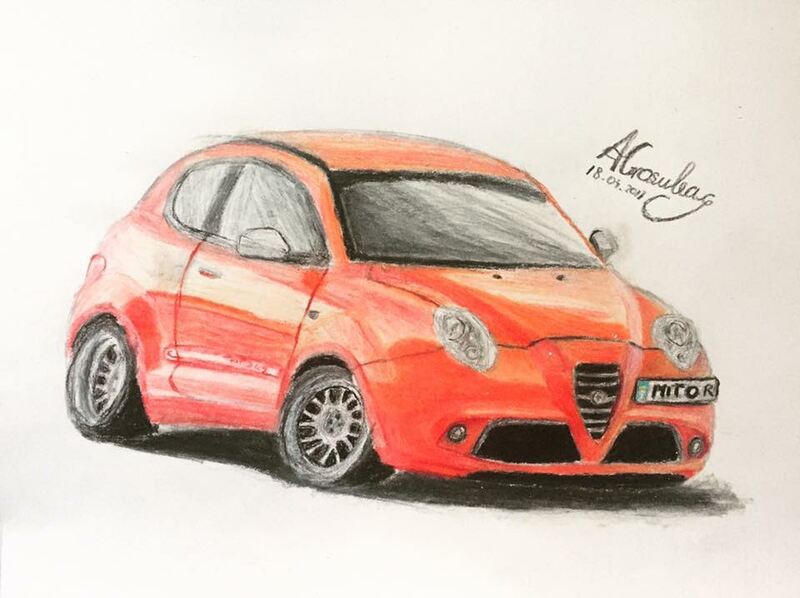 A3: I started drawing cars daily(ish) during summer 2016, so roughly half a year ago, but my actual first car drawings - which were absolutely horrible - were drawn a couple of years ago; since then I practiced and got better. Q4: Why did you start drawing/painting? A4: I started drawing because I find it quite relaxing and at the time when I started drawing, I was very bored so I needed something to keep me busy. In addition, it helps me meet new people with the same interests. Furthermore, because earlier that year, in one of my lessons at school we had to draw still life - which surprisingly was the best in the whole class (according to the teacher's opinion). Q5: What is your favorite car that is affordable? A5: Not knowing what exactly 'affordable' means, so I have set myself a limit of £10,000 on used car websites. Therefore, my choice is easily the 2004 Nissan 350Z because of the sheer fun this car can deliver, while still being affordable. (Yes, practicality would be an issue, though.). Q6: What would you drive if you had all the money in the world? A6: As a car enthusiast, this question is incredibly hard for me, although if I had to buy a brand new car, it would be a Porsche Panamera 2017 due to its practicality. As a used car, it would have to be a 1973 Lamborghini Miura because it's incredibly iconic and rare. Q7: What do you drive everyday? A7: At the moment the only cars that I drive are virtual unfortunately because I'm not old enough to have a driver's license. Q8: What is the hardest part of drawing cars? A8: The hardest part of drawing cars is getting the shape and proportions of the car right and making sure everything looks realistic and is correctly aligned. Also, the rims of a car are a pain to draw as they are very detailed and close to each other, needing quite a high level of patience and precision. Afterwards, drawing and shading is much easier (to me at least). Q9: How long does it take you to draw an entire car? 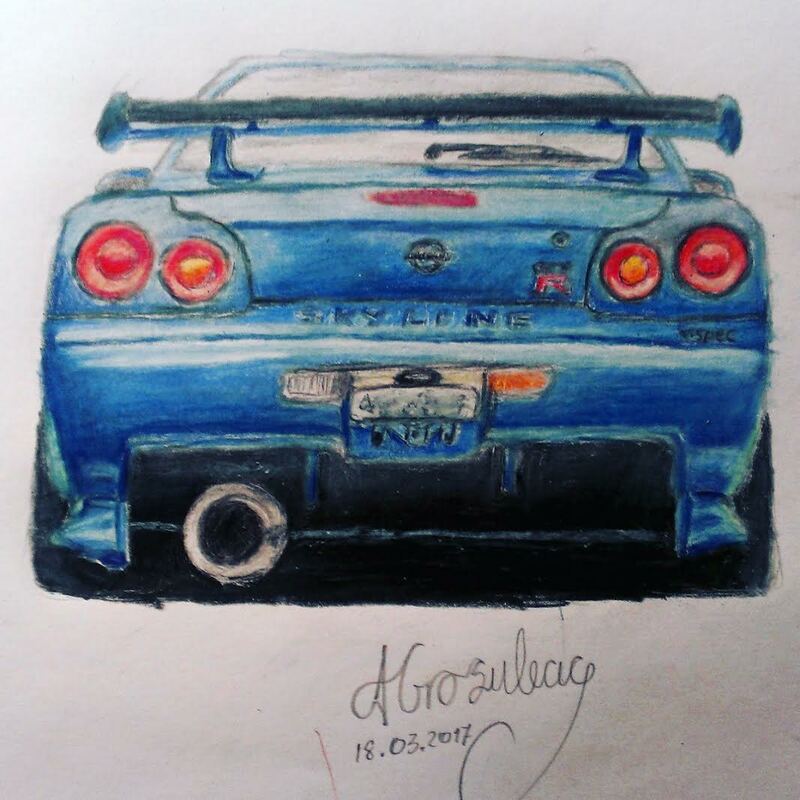 A9: Usually, it used to take me 8 hours to draw and colour a car, but now it takes me 3-4hours at most. Q10: Is your art for you or for other people? A10: I draw for myself, as a hobby currently, although, when I run out of ideas, I usually ask friends / parents for requests. Q11: How do you hope your art will help you achieve your goals in life? A11: I think art will help me find a job in the future, as I would like to be something that is close to art, like being an architect or a graphics designer. DT E-i-C Vince: Big thanks to Andrew for answering our questions and if you have any questions for Andrew, please drop them in the comments below. Andrew - great work. 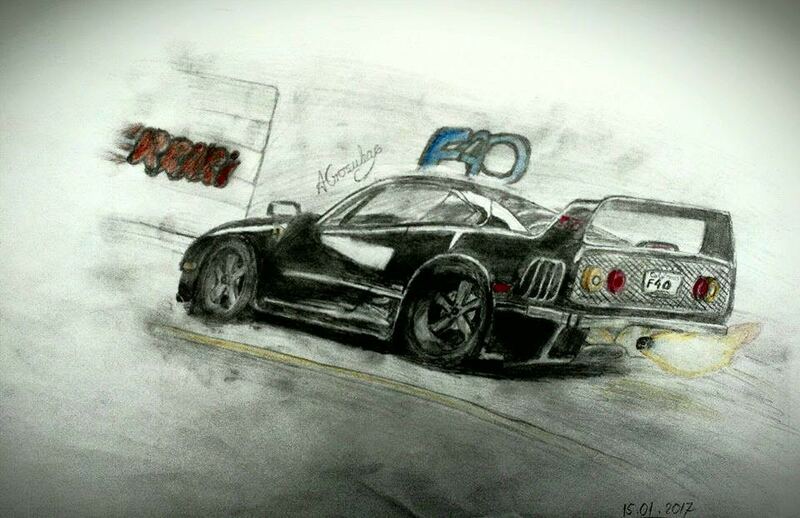 Do you draw anything other than cars? Thank you! Yes, I sometimes draw still life and even cartoon characters (when my mother asks me to, because she loves them). Andrew- you have a great talent! Thanks for sharing it. Have you ever tried to imagine a car of your own proportions or design? Is your art an expression of your love of cars, or is it the other way around; that cars are just your current favorite thing to draw because you love art? Thanks, Hunsbloger! I tried to draw my own car models a few times, but it is quite hard to achieve the same performances as the professional car designers. 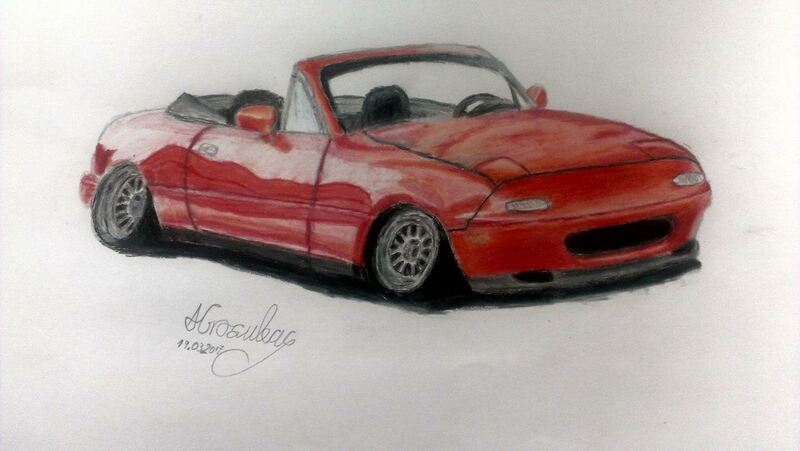 My car drawings look ugly to me, therefore I reckon I need more practice. 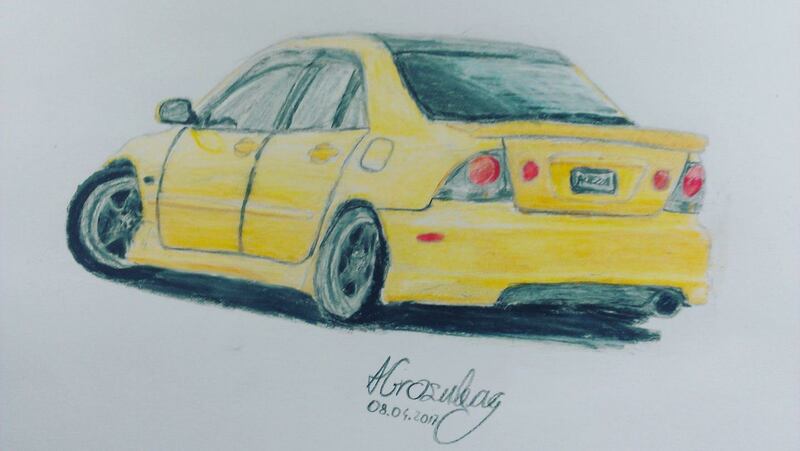 By drawing cars, I feel like I can express my passion towards cars. Great stuff! 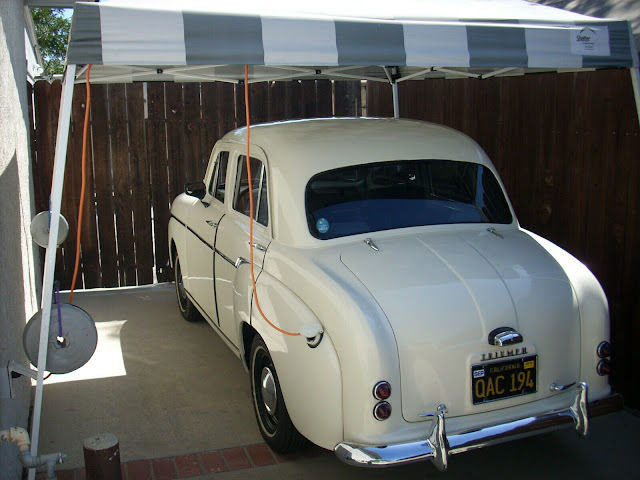 Nice find, V.
Andrew: What's your opinion on the Roadmaster? Kalibeezy, I haven't drawn a Buick yet, so thanks for your suggestion. I reckon this will be one of my next drawings. I know a few people who are hugely successful from "just drawing cars"
Thank you, Scott! At the moment, drawing is not work to me, but just a passion. Hopefully, it could be one day.